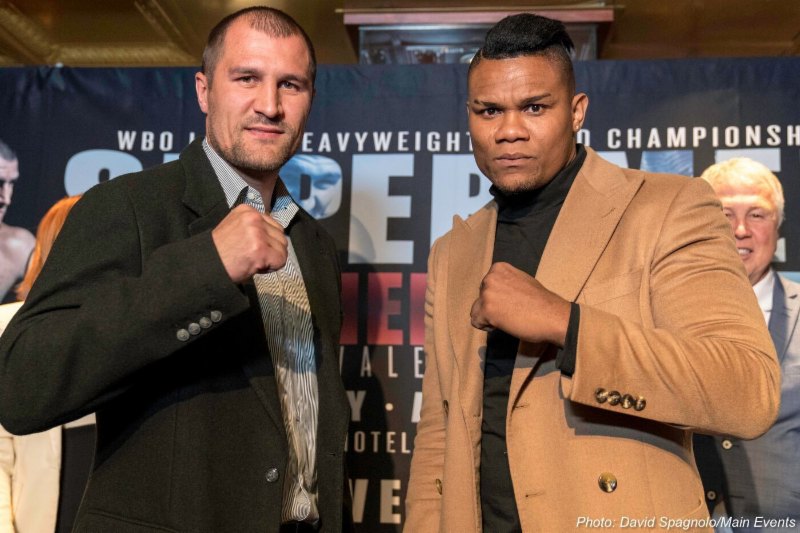 Former WBO light heavyweight champion Sergey ‘Krusher’ Kovalev 32-3-1 (28) is out to right the wrongs that cost him his world championship in his immediate rematch with Eleider Alvarez 24-0 (12) this Saturday night. The 34-year-old Alvarez scored a surprise seventh round knockout against a tiring Kovalev while behind of the card when the pair first met at the Hard Rock Hotel & Casino in Atlantic City, New Jersey last August. The big-punching Kovalev, 35, has been working on maintaining his stamina under the guidance of new coach Buddy McGirt. “Yes, I made a mistake, but this time I will fix it,” Kovalev said to AFP. “I didn’t have enough gas, enough power. It was like something was wrong with my body. Kovalev, who will meet Alvarez for the second time at The Ford Center at The Star, Frisco, Texas live on ESPN, credits McGirt and strength and conditioning coach Teddy Cruz for rejuvenating his career. “I had coaches, but they didn’t help me with my boxing or my conditioning or anything,” said the Russian. “Everything I did myself. I am happy that I started working with Buddy and he has reminded me of my amateur style and using a lot of boxing – not the goal to knock somebody out, but boxing. “We have been working on defense, too, and with the shape I am in on Saturday it will be very interesting. Colombian Alvarez is out to prove luck has nothing to do with it. “I believe that’s excuses he’s making,” Alvarez said. “When you lose, you have a lot of excuses. I had a great game plan with my team and he said it was an accident.